Mazda have just announced a brand new SUV is coming to Australia in 2018! 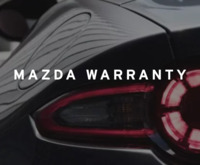 The brand-new Mazda CX-8 diesel is the perfect fit for those who need the versatility of seven seats and the economy that diesel affords. The new model will fit in the space currently occupied by Hyundai Santa Fe, Kia Sorento, Skoda Kodiaq and Volkswagen’s upcoming Tiguan Allspace. 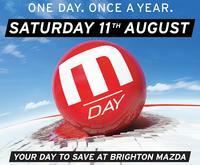 Here at Brighton Mazda we’ve listed the top 8 things you need to know about this exciting new SUV. Mazda’s newest SUV is a diesel only offering and will not be available in petrol. 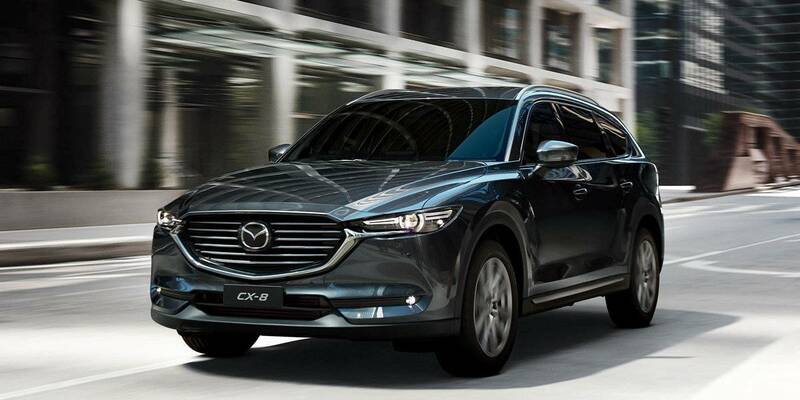 The larger CX-9 will continue to offer a petrol powered 7 seat option. 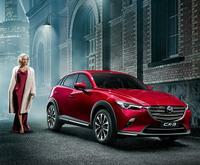 Although local specifications have yet to be announced, we know that CX-8 will be narrower and shorter than the CX-9. There will be two drive options for new CX-8, FWD or AWD. Both will come with automatic transmission. There will be multiple variant grades of CX-8, all equipped with the latest i-ACTIVSENSE safety technologies as standard from entry grade, right through to the top of the line model. With 239 litres of boot space with the rear seats in place, or 527L when stowed, the CX-8 offers less boot space (238L less) than the larger CX-9. Powered by 'SkyActiv-D' this new 7 seat Diesel SUV will have an extremely potent 140kW/450Nm torque. New CX-8 comes with three-row seating for 7 occupants, much like the CX-9. Its smaller structure means it will be more agile whilst maintaining room for the whole family. Exact arrival dates and pricing have not yet been confirmed, but we know the SUV will arrive in the second half of this year. We know Australians love SUVs and can’t wait to add this to our SUV Central offering.